Nokia version of the Symbian is the most popular mobile operating system in the world, and it is based on the open source Symbian platform. So far, there are three major derivatives of the OS in touch and non-touch categories. The Symbian S60V3, S60V5 and upcoming Symbian ^ 3 have .SIS and .SISX extension for applications. A signed Symbian application includes a digital certificate that identifies the developer ID and its origin. Nokia devices usually block the installation of unsigned apps with a certificate expired or contact the application supplier warning. Singing ensures the trust and authenticity of the application, but often it becomes an inconvenience for the users. The reason for the increased number of unsigned applications in the internet is the cost and time associated with the signing process. Until the last Nokia World, signing Symbian applications, themes and games were a difficult task for the developers. They needed around $200 for registration and getting a publisher UID and cert/key pair. Nokia had removed the cost and some restrictions in the multi-step signing process for the OVI publishers. Now it’s easy for the developers to sign and distribute their software to the OVI store. There are thousands of freeware Nokia mobile applications available in the internet, which are inaccessible to the end users due to the signing issue. Apart from this the cracked versions of Symbian applications are also usually found in unsigned form. Here is a simple tutorial that you can use to Sign unsigned Nokia apps, games and themes using certificate and key file generated online. First find the IMEI number of your Nokia device from the device brochure or by typing *#06#. Open this website and signup using you email ID and the verify it from the inbox. After that, go to this page and apply for a certificate (.cer) and Key (.key) file for your IMEI number. From the link at the top section, click My Certificate. Now download the .CER and .KEY for offline signing process. The signing process also requires SignSISTool, available for download here. Extract the contents to a folder and execute SignTool.exe. 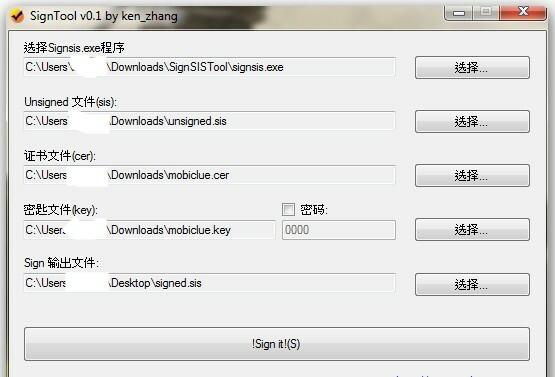 Browse and select the location of SignSIS.exe ( SignSISTool folder), unsigned application, .CER and .KEY files. In the last box, enter the desired name and the location where the signed application has to be saved. Now press sign it and complete the process. The target application is now signed can be used in any supported Nokia device without errors. 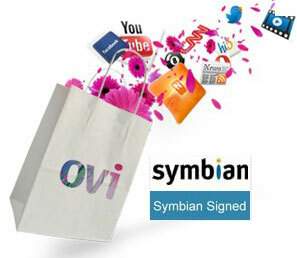 OPDA website also provide an online signing option for Symbian applications, here. Please note that using signing and using unsigned applications from internet may lead to security issues and device instabilities. We cannot be held responsible for any software or hardware damage. Please send me cer & key.